The Rijksmuseum is out to prove that good things really do come in small packages with its latest exhibition that explores the art of 16th-century Dutch microsculptures. Titled Small Wonders, the Amsterdam show features around 60 of the 130 extant examples of this unique art form. Expertly carved from boxwood, these micro-carvings, some of which are just 25mm in diameter, take the form of prayer beads (also known as prayer nuts), altarpieces, shrines, skulls and coffins. 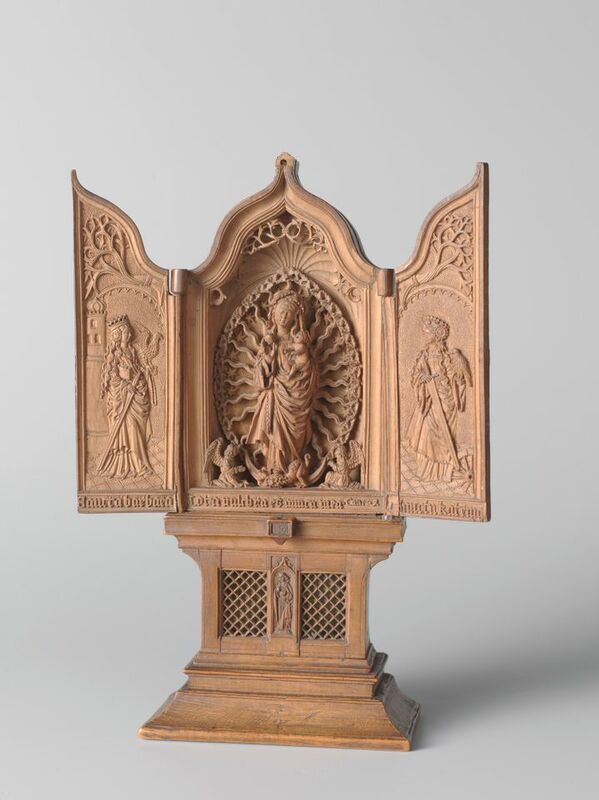 Religious scenes decorate these microsculptures, which were used as devotional or contemplative objects. The scenes are often wonderfully complex, allowing the owner to discover something new each time they looked at the object. Frits Scholten, the curator of Small Wonders, says the act of looking at and trying to identify the biblical stories depicted in these miniature sculptures is like a small pilgrimage in itself. "It's a pilgrimage of the eye." His aim is to show the breadth and virtuosity that went into the creation of these works and stress their playfulness. The exhibition is a collaboration between the Rijksmuseum, the Metropolitan Museum of Art and the Art Gallery of Ontario. Unlike the presentations in Toronto, where it debuted in late 2016, and New York which concentrated on research related to the technical production of these micro-carvings, the Amsterdam exhibition delves into the artisans and buyers of these objects. The Rijksmuseum’s research revealed that many of the pieces came from the workshop of Adam Theodrici. Although scholars have long believed that Theodrici’s studio was in the south, new findings suggests that it was in the north, possibly in Delft.